Home » News & Events » Resource Library » Data Recovery: What Is Your Backup Solution Doing for You? So much of the backup software marketing out there is focused on compliance, data protection, real-time protection, cloud backup, downtime, loss of information, security and automation, with less emphasis on data backup recovery. You do not often see terms like “recovery time” or “recovery success rate”. Perhaps it’s time to place more emphasis on the recovery options and their reliability when selecting a backup solution. I recently had a situation where a friend came to me with a backup data recovery request. He ran his own small business and had deployed a backup solution himself. The decision to purchase this particular backup solution was probably based on word of mouth or an advertisement in an airport. I was able to confirm that the nightly backup had been running based on some pre-packaged email reports he had received. After an initial review of the situation, the next stop was to see what this backup solution had available for recovery options. 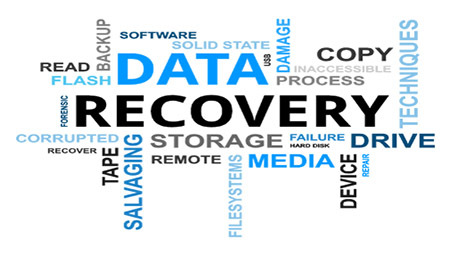 These days there are many solution options it comes to backup data recovery. You can potentially recover data from local appliances yourself or there are options that may include having a USB drive that holds your recovered data shipped to you the next day. It seems that the options are limitless. As I started to weigh the different options based on the recovery requirements, I began to think, “When is the last time these recovery methods were tested, or have they ever been?” We put time into configuring and reviewing daily backup logs, but how much time do we put into actually testing the recovery methods the solutions provide? I understand this is Backup 101 for large enterprises but smaller businesses and retailers may not have the time or skill set to perform such functions. They rely on the good faith that if their data is being backed up, then it can obviously be recovered. This recovery assignment for my friend was an SQL database that served their line-of-business application. The backup solution contained a local software client and website for its recovery options. The solution explicitly supported SQL backup operations. So something compared to Volume Copy Shadow service was expected. My thought was to back up the existing the SQL files and restore the BAK file (or whatever form it provided). What happened next was a complete failure in both the backup software and backup software companies’ ability to support their recovery features. The SQL database was backed up while still online, thus providing me several corrupted files that took additional recovery efforts to restore. The software company’s “top tier” support could not understand why I could not “just use” these provided files. They did not have a basic understanding of SQL databases, nor could they explain to me how their SQL backup technology worked. A lot of time and money was wasted to conclude that the backup solution provider did not truly support SQL backups and recovery. So much of the backup software marketing out there is focused on compliance, data protection, real-time protection, cloud backup, downtime, loss of information, security and automation. You do not often see terms like “recovery time” or “recovery success rate”. Successful recovery is an assumed function of any backup solution and how it is marketed to the SMB retailers. Perhaps it’s time to place more emphasis on the recovery options and their reliability when selecting a backup solution. Maybe we need to think of backup software in terms of a “Recovery Solution” because recovery is also where backup software needs to perform. This exercise in recovery had me brainstorming about questions I would have as a small business owner when selecting a new backup solution. What are my recovery needs? What operating systems, applications and services does your business run on? Start your backup solution evaluation by listing these details out and checking the boxes where the solutions you are evaluating fit your needs. You can also seek out the solution forums and do some research on the solution itself. In the example above, I would search the forums for “SQL Recovery” to see what experiences users have had with this procedure. What schedule can I recover from? Many backup solutions offer various backup schedules. If you backup your server at midnight and your server crashes at 10:00 pm the next day, can you afford to lose a day’s worth of work? I would look at scheduling options and also see if real-time services are available for files and folders. How quickly do I need to recover? If you have a 60GB database and you can only recover from the cloud, you might be sitting and waiting for a while as that much data downloads. Also what if your internet cuts out during the download and you cannot resume the download? I would look into solutions that have both local and cloud recovery options. Recovery from a local device like a USB drive is going to much faster and more reliable than an internet download. What native backup solutions do I already have access to? Many times there are already very good backup solutions that are provided by the operating system and applications already installed. In my example above, my friend would have been better off using the native SQL backup maintenance plan that was provided. Not only is the native backup functionality specifically designed for the database but it also has manufacturer support and years of forum support. How can I test my data recovery? Some software applications are easier than others when it comes to testing. In my example, we were able to restore the database as a different name and point the software to it. Items like files and folders may be as easy as copying to a different area of your hard drive. Other applications may require your solution provider to get involved. This is the most important step and should be done at least once to give you an idea of what the recovery process entails. Testing and learning the recovery process will prepare you for a critical situation later, should it arise. Call the solution provider’s pre-sales support. Ask questions and get an idea of how well their staff is trained to answer some of your more difficult questions. This could be indicative of how well they support the product as well. Also, this one may be obvious but do your research. There are a plethora of non-biased reviews on the top backup applications online for your consideration. Make sure your backup solution has a fast and reliable recovery process so that you have ultimate peace of mind that your data is protected. If you would like to review your current data backup and recovery solution and discuss your options, please contact our sales team. Ryan Nunn brings almost 20 years in the retail IT profession to New West Technologies’ team. His focus is to ensure retailers are realizing their maximum potential when deploying and supporting various retail solutions.